Learn how and where to use Java without any programming knowledge till now. It will b teach by real time experienced professionals. With our Java training you can reach advanced level and we will keep on make you update with the future scope technologies. What we do at Problab Technologies for Java? Here in Problab Technologies we are continuously monitoring and understanding the scope of Java for in software industry. Our trainers are more experienced Java professionals and have worked with MNC companies. They will train each and every student of Problab Technologies to the next level. With our best training one can easily understand Java and will be placed. Our trainers will be training based on the present popular technologies in Java and they can be in touch all time for any suggestions and advice. We feel responsibility until you will be placed and can show you the best opportunities. Problab Technologies want its students to settle in their career as soon as possible. Whom Java is suitable for? Java is suitable to any graduate who wants to settle in IT industry. Just graduate background is enough to start. We will make you more comfortable. Today everyone wants to their business to be automated and distribute over internet. World is becoming more smart and internet reached even remote areas. Most of the company’s looks for Java because of its secure, distribute, simple, maps easily to real time objects. 90% company’s choice is Java for their business. 100% Practical Training in Java. 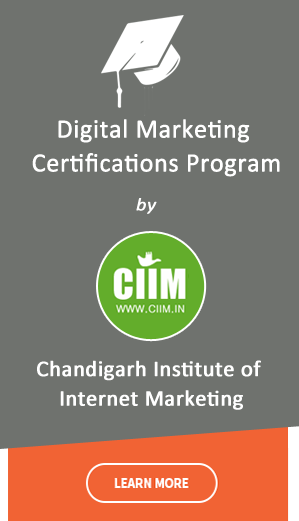 Training Targeting Industrial Web Development in Chandigarh. Java Training on our Commercial LIVE PROJECTS.